Henri Bendel in New York now houses the second existing Memoire Liquide counter, following the original location at Fred Segal in Santa Monica, California. Memoire Liquide is the creation of Robin Coe Hutshing, the founder of beauty-mecca Studio at Fred Segal, and her sister Jennifer Coe Bakewell. The company is an updated interpretation of a traditional apothecary offering “bespoke,” or custom-made, fragrances, and its written statement invokes Proust’s famous madeleine as the classic motif of “the intertwining nature of scent and memory.” Just as memories are intrinsically personal, these fragrances may be mixed and matched to fit the wearer’s own history, tastes, and imagination. The Memoire Liquide selection at Henri Bendel includes more than 150 perfumed oils, displayed in old-fashioned bottles with glass stoppers. The oils may be worn alone or blended in combinations of two or three scents. The quantity of scents is overwhelming at first glance, but they have been helpfully grouped along a gleaming table in ten discrete categories. The categories are: Le Fleurist (florals), Mélange Gormandise (“foody” notes), Les Encens, Bois et Épices (incense, woods, and spices), Les Tropiques et Exotiques (tropical florals), Les Senteurs Muscs (musks), Le Salon de Thé (tea scents), Les Feuilles Vert (green notes), L’Aquatique et Clair (fresh-air scents), Le Jardin Fruitier (fruits), and Fête du Citron (citrus notes). I wandered around the table for a while, following my own preferences and concentrating more on the floral-gourmand end of the spectrum. A few scents that intrigued me were Violette Glacée (green topnotes over a drydown of sweet, anisey violet), Café Royal (coffee and bittersweet chocolate), and Lune de Miel (honey with soft florals). The Memoire Liquide specialist also helped me branch out slightly by introducing me to some of his favorite oils from the other end of the table, where the woods and musks stand. A few of his suggestions were Bois Sec, a mix of cedar, sandalwood, and incense that can also give an earthy base to blends of rose or white florals; Nudité Absolue, a popular “skin scent” choice; and Daim Blanc, a smooth, sueded leather note that he merged into a surprisingly wearable combination with the juicy strawberry of Frais Sauvage. Still a floral-lover to the core, I was drawn more to Perle Lustrée, a soft, white musk garlanded with delicate notes of lilac, lily of the valley, and vanilla. I had approached the Memoire Liquide counter with a specific idea in mind, which I finally revealed to the specialist: I wanted to recreate the scent of the bouquet that I carried at my wedding in May. (Yes, it’s a sentimental cliché, but please bear with me!) After a few minutes of smelling and comparing various scents, I was able to select three oils that matched the bouquet’s main “ingredients” in my mind. The Memoire Liquide specialist assisted me by placing them on paper blotters, drop by precious drop: we combined the oils in three different ratios, adjusting the proportions of the various notes. After sniffing the blotters, I tried the three alternatives on my own skin. Once I had decided which combination I liked the most, the specialist decanted the oils and blended them into a small black bottle with a cream-and-gilt label. My memory had been captured in liquid form; the line’s namesake concept was successful. My “recipe” has even been filed away by Memoire Liquide for my future reference and later purchases. Two further thoughts occurred to me while I was browsing the Memoire Liquide department. For one thing, although I was confronted by so many scents, their identical packaging and their brief descriptions freed me to form my own impressions and associations. Esprit de Cassis, a potion of cassis, plum, black cherry, red currant, and musk, brought back the sensation of drinking Kir Royals in SoHo with an old friend one summer evening; Voile de Soie, a powdery blend of rose, jasmine, ylang-ylang, and lily of the valley over white musk, suddenly conjured up the memory of a perfume that my youngest aunt used to wear in the 1970s. I also realized that the scent groupings allowed me to isolate and re-experience notes that have bored me lately by appearing in too many mainstream fragrances. One oil in the Encens, Bois et Épices group, Grain de Poivre, reminded me how effectively pink pepper can bridge the spicy and the sweet, and a handful of different vanilla scents — Vanille Moirée, with its base of orris root and benzoin, was a standout for me — ranged from meringue-light to mouth-wateringly rich. Overall, the Memoire Liquide counter offers near-endless possibilities for a fragrance lover who already has a fairly well-defined idea of his or her own favorite notes and olfactory inclinations. If you are planning a visit to Memoire Liquide, allow yourself plenty of time to browse through the printed checklist of scents, to breathe from the various bottles, and to reflect on single and paired notes as they evolve on blotters and on skin. 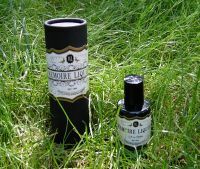 Memoire Liquide’s website is still being constructed, but it will eventually offer a complete list of scents and further information about the company. Meanwhile, you can read more about the prices and products available here. Note: first image by the author, second courtesy of Henri Bendel. I saw this mentioned by someone in this months allure magazine. Thanks for the descriptions of the shop and how the process works. I got picked in a drawing for some ML samples on perfumeposse and the lovely Patti of the Perfumed Court sent out my choices, one of which is Bois Sec. I just tried it for the first time today and thought it was medicinal, at first sniff, the way cedar can be sometimes. Then an hour later, smelled a marvelous incense waft by. This really is gorgeous by itself but for me it takes awhile; can't wait to layer it with something else. Mousse de Chene is another samp I need further exploration of, it's more floral. The ML bottles are great looking, very distinctive! It always amuses me that companies insist on giving themselves a French name when they are 100% American, I also notice from the previous article that the names of the aroma oils are all French too. Well, I suppose that Memoire Liquide sounds better than Liquid Memories which I suppose could bring back memories of early childhood incontinence…LOL! Hello! Sorry it's taken me a while to respond… I was out of town today! But yes, I spotted that Memoire Liquide mention (by its founder) in Allure, too. Lots of good perfume coverage in that issue! Hi Rosarita! I agree: quite a few of the oils are complex enough to work as “perfumes” on their own. (And Bois Sec is excellent, even if I'm not a “woods” person.) Others are simpler. I'm tempted to splurge on the three-scent box of three straight oils next time! I agree allure has some good perfume in this issue, I just wish they would do more articles on new perfume and scents! They are few and far between. Have a good weekend. they lose all credibility. If they can't spend a few minutes checking a French word in a dictionary, what does it say about their attention to detail in the rest of their operation? They end up looking pretentious and ridiculous. Thanks! I would always like to see more perfume coverage in magazines… especially more coverage of fragrances that are not sold by the magazine's own advertisers! (I'm delusional, of course!) That's why I was pleased to spot ML. Hi J, Some of those spellings didn't look *quite* correct to me (not a native French-speaker by any means), but I left them as is. I suppose I could insert “sic,” but that would make my review look very odd. No, if that's the way they call those fragrances, that's the way they call them. Let them hang themselves… LOL! Hello -I have never written to a blog before, but you have inspired me! Somehow, in spite of all precautions, these errors were the product of an over zealous and uninvited English language spell check somewhere between computers. 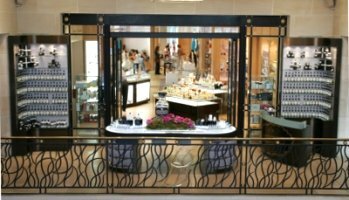 This was a huge project- a labor of love, we were bleary eyed by press time and didn't catch it, but I assure you that our attention to detail in the realm of fragrance never wavered for an instant. This is the product of over 20 years of development, and the print errors will be corrected. I only hope that you can look beyond those small things and see the purity of purpose that went into this fragrance project. We feel quite confident that the quality of our fragrances will make up for these admittedly embarrassing mistakes-and just consider this still a work in progress. So, thank you for your good eye- but we hope that you come back to us with a good report from your nose! Thank you for your 'calm' response. I'm sorry I was so harsh but I have no patience for this kind of lack of attention to detail. I'm not only French but a literary translator, as well as an editor and proofreader (in both languages), so spotting mistakes comes naturally to me. I'm glad to hear you will endeavour to correct the errors I pointed out. I live in London so I don't know whether I will ever be able to try your creations. They sound very nice indeed. I wish you all the best with them.